Natural Mattress with Michigan Wool - Harbor Springs Mattress Co.
A natural mattress with Michigan wool couldn’t be a more natural choice for our handmade in Harbor Springs mattress company. We use wool from a Michigan woolen mill that gathers fleece from Michigan sheep farmers. We feel good buying and selling local. Plus, farming sheep for fleece is sustainable as sheep regrow their fur. 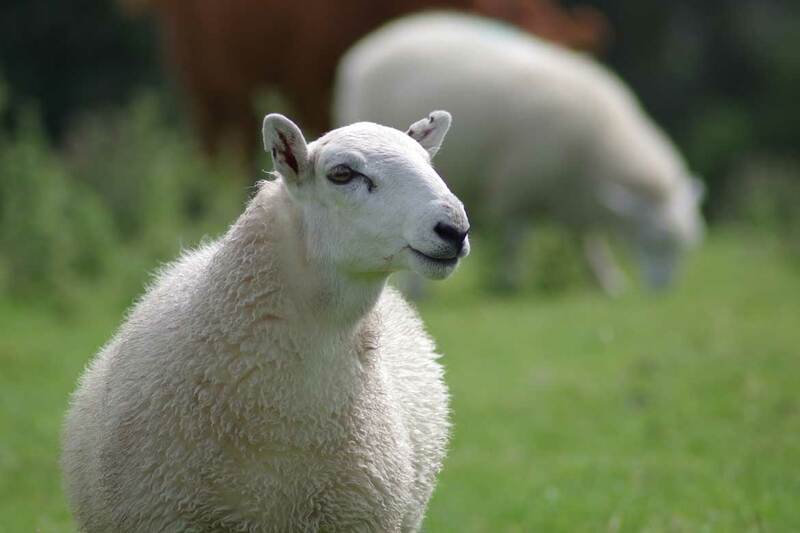 We often tell customers; ” the wool in your mattress comes from sheep who are still happily grazing, as we speak.” It’s hard to get any more natural or locally made. 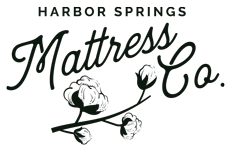 Harbor Springs Mattress Co., Farm to Bed story begins with Michigan sheep farmers. There are over 2000 sheep producers in Michigan who raise sheep for both recreational and commercial reasons. The tool used to cut, or “shear” the wool is very similar to the electric trimmer that your barber or stylist uses to cut your hair. Sheep shearers have often honed their skill for years or decades, and it is a craft. Our mattresses are made with wool from Frankenmuth Wool Mill. A recent visit with our friends at the Mill, included a behind the scenes look at how they clean, card and form the fleece into the woolen batts we use in our mattresses.